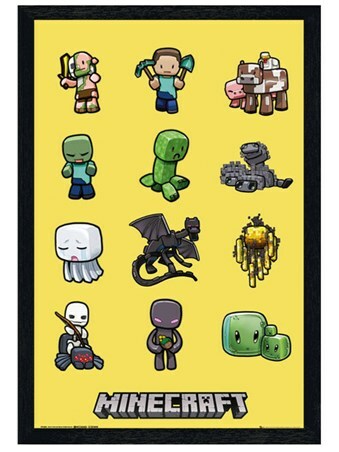 Children's Maxi Poster: Welcome to the world of Mine Craft. 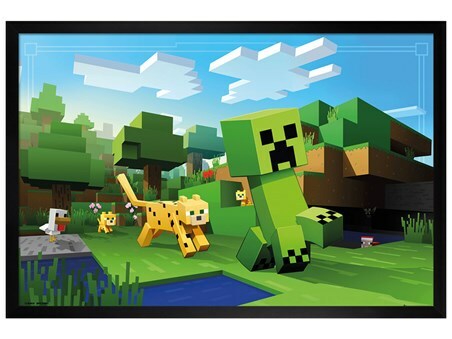 From playing hunter gatherer to becoming a master of combat, this fantastic three dimensional sandbox world allows you to become the decider of your destiny. 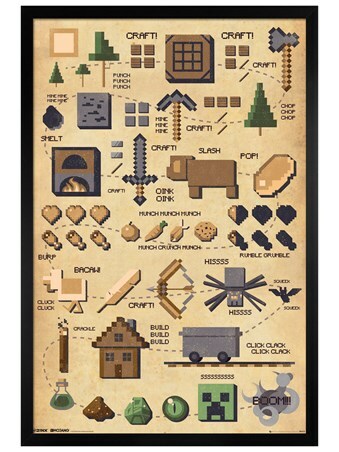 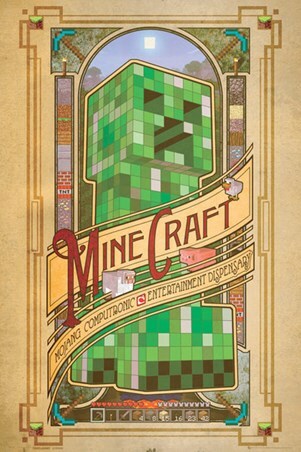 This awesome art nouveau style poster is compiled using images from the world of Mine Craft including blocks of concrete, grass, wood and TNT as well as a couple of virtual animals thrown in for good measure. 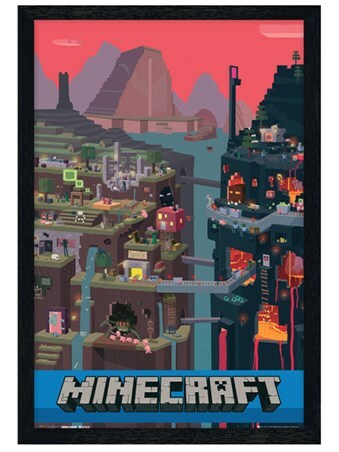 So why not create the perfect backdrop to your gaming paradise and hang this exciting adventure poster on your wall.